Very compact light perfect for camping or on a key chain. Well made and rechargeable. First order of the CL09, and I couldn’t be more pleased. My usual go-to camping lantern is the CL25R (recently discontinued, alas) but this little guy is versatile, compact, and makes a perfect complement to the CL25R that I can carry in my glove compartment or a bugout bag. Excellent nano lantern. This one will find use as a CR123 addition to my car (I live in NY/VT so I need lights that run on CR123s d/t temps below freezing) and I’m sure to get another two for backpacking, plus another for the nieces (tiny lanterns for tiny people). The twist method for light selection is just fine by me as I’m sure it contributes for the tiny size of the light. Runtimes are good, and the included rechargeable battery is a nice touch as it is protected by the external casing of the lantern itself. This is an excellent product, as usual, from Fenix: square cut threads are, as usual, very much appreciated. I do wish the lantern had even lower settings, like 0.1 lumens, but that Fenix has listened to customers and included “firefly” modes in their lights – in this case, 1 lumens, has me very much content at the moment. That being said, 0.1 lm white and red would be sweet, but that’s where Zebralight comes in :). Keep up the good work, Fenix, your stuff is bulletproof!! Just received this light yesterday, and I’m very impressed. 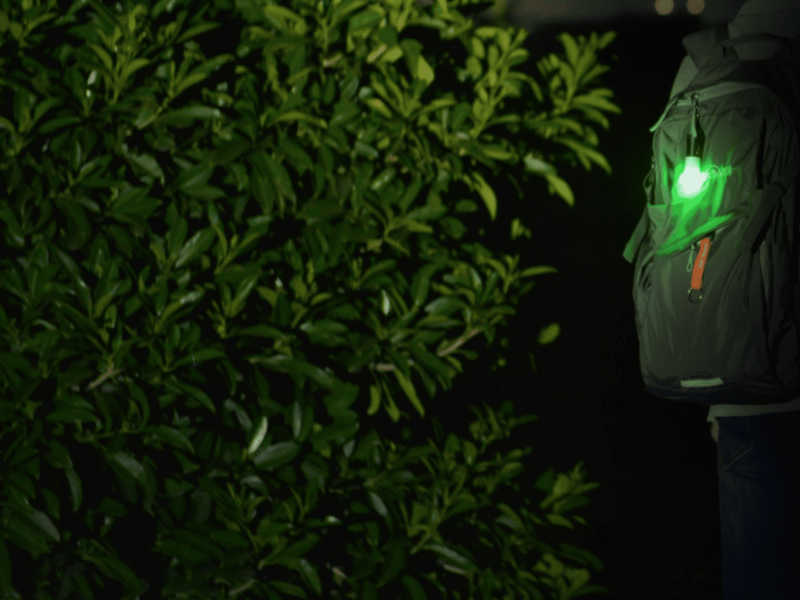 I can’t wait to take it camping, will work great on a hammock ridge line to light up the tarp with a subtle green glow for night vision. As mentioned above, needs memory for the selected/most used modes, needs a on/off push switch, and last, would love to see this thing in a golden olive drab color for the outdoorsy men and women! Having to cycle through all of the brightness modes to get to the red and green LED modes doesn’t work well. I use the colored LEDs in low light scenarios where I don’t want a bright white light to be seen. Awesome little light. My only complaint is the hanging loop likes to stick to the tail magnet — meaning I have to pull it off of there before I can tail stand it or stick it to something. Maybe the hanging loop should be made of a non-magnetic material. handsome and waterproof, it will be used on hiking and as safety light during walking in the dark. easy to make an other light setting. will be used for the next years. a CR123 battery wil keep for a long period the battery energy and will not damage your light by leek of the battery. There’s so much to like here! So many modes, so many options. Just larger than a container of lipstick, and this thing was brighter than lights 5x it’s size. When you read all the other reviews you will find glowing reports. And I agree. The light output is awesome, love the size and the magnet and wire loop make it easy to attach or hang it from just about anything. But there is one critical feature that is missing and I am surprised other people didn’t mention it. The light doesn’t remember the last setting. I like the red light to use late at night when camping. I can throw it on the shelf at the top of the tent and easily find it at night. However, to turn it on, it always defaults to the low setting white light. That means you have to quickly cycle through med white, super bright white and then you get to red. No big deal, unless your partner is in the tent and then they aren’t too happy about the sudden bright white light flashing three times, each time getting brighter before you find the red light. Turn it off and then back on and three more bright white flashes as you quickly cycle through the options before you get to the red light. If the light would remember which mode was last selected between uses, the light would be perfect. But it doesn’t, so it gets 3 stars. Oh man, I love this thing and as budget permits, I’m buying more. I got playing around with and I take it everywhere. Moving around the house at night, when you don’t want to be turning on bright lights, it’s perfect. Put a C123a battery in there and you have a small emergency light that will be good for ten years. Take it in the shower set to red with my UE Boom speaker and relax after a stressful day. The options are endless. I showed it to my wife and her response was “Where’s mine?”. And the battery, all you need is a USB port and sub-mini USB cable. It plugs directly into the battery, no charger needed. Amazing light, get yourself a half dozen!! Nice little light. I find cycling through the modes a bit cumbersome though. Sometimes I just want to go straight to red or green light for example. Build quality is great, however the metal ring (that attaches to the key ring holder) broke after just a few days. Beware if you attach it to a belt or similar. All in all an interesting concept, but maybe not for everyone. 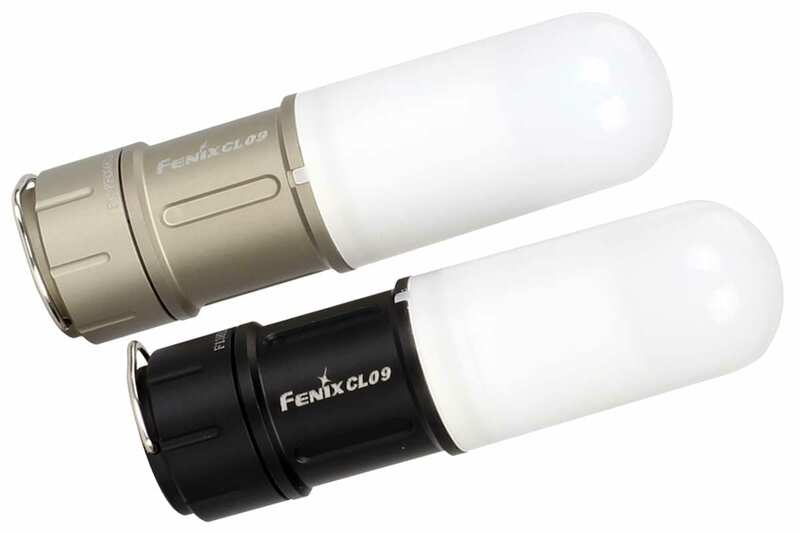 I have a few Fenix light and like their light and quality. This is very nice as and the light modes are nice. The big downside for me is no side switch. It takes a lot of twisting to cycle through the modes. It will be a great reading light while camping on the low settings. High settings light a whole room, which will come in handy here in the Santa Cruz Mountains where we get multiple power outages every winter. I’m a mechanic, and the magnet makes it a great light for working on cars. It is so small, that you can put it right next to the area you are working. I no logger use the big corded light. I may fashion a reflector to slip over the globe to direct the light and keep it from shining in my eyes while working. Hang it off you belt to make that early morning walk to your favorite fishing spot, and then it is a great light to ties your knots by on the low setting. Hoping I never need it, but the colored lights could certainly come in handy as well. Amazing how many features are included in this tiny little light and I love that it uses the same batteries as my favorite EDC flashlight, the Fenix E15. Considering buying a few more to keep in my vehicles. And as soon as I’m done here, I will be going on my local mountain neighborhood message board to recommend this useful little light. I should also add that the build quality is excellent. Thanks Fenix! This is my first Fenix purchase. I am totally blown away by the performance of this little lantern. The turbo setting lights up my whole room. We have power outages out here in the western suburbs of Chicago and I think this will be my go to item when I need it. Really have no use for the battery that comes with it. Will keep it charged as a backup. CR123A batteries are the way to go. Cheap and available in bulk. Yes I am very happy and sure will buy more. Thanks! I have to admit I am a bit of a Fenix fan, having purchased 5 different flashlights. These lanterns are really neat from the magnet on the cap to the rechargeable battery. Played around with it for a bit and what a great little light! Actually thinking about purchasing 2 more just to light things up. I am very impressed with the quality and features, thanks Fenix for more lights than I need and will be coming back for more!